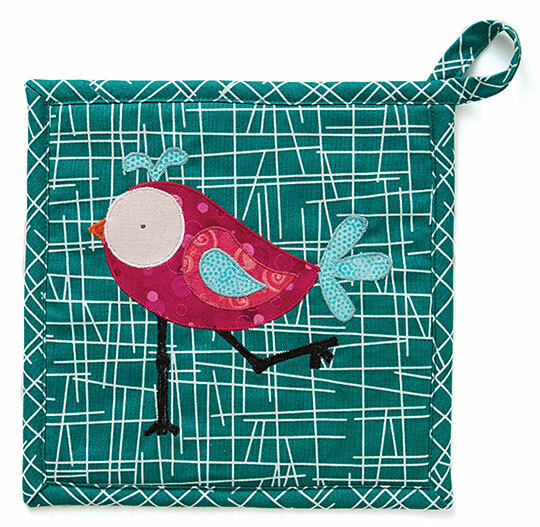 52 Playful Pot Holders to Appliqué Giveaway! Popular author Kim Schaefer (Calendar Quilts and Calendar Runners) shares simple, whimsical appliqué hot pad designs in her signature style in 52 Playful Pot Holders to Appliqué. Have some fun while making gifts for housewarmings, weddings, bridal showers, and more! Choose your shape: square, round, or oval. Then, choose your theme: holiday, kitchen, animals, and more . . . There are designs for all seasons, along with traditional themed designs for the kitchen, including fruits and vegetables, as well as some of Kim Schaefer's signature flowers, bugs, and birds. Pot holders are not only a practical item that can be used everyday, they can also add a decorative touch to any kitchen. Pot holders are a quick and easy project great for gift giving. They’re perfect for bridal showers, weddings , hostess gifts, and more. 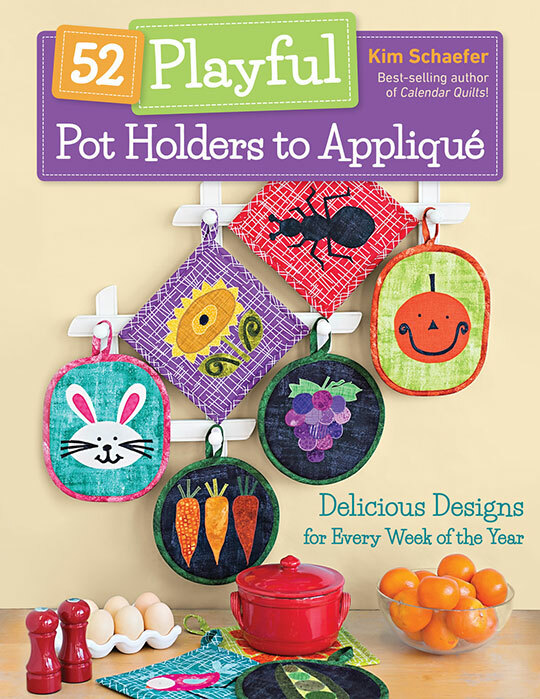 To get your hands on a copy of 52 Playful Pot Holders to Appliqué, enter our ebook giveaway HERE!